Humber MeshWORKS was a site I ran for just over 3 years in the early noughties. It was concerned with promoting the MeshWORK application of the Gravesian approach and its Spiral Dynamics ‘build’ and Neurological Levels into the Humber sub-region of the United Kingdom to improve the design of social and economic regeneration strategies. To enhance business leaders’ and business advisers’ understanding of organisational growth issues, the site also promoted Adizes’ LifeCycle. The original impetus to do something came from a chance meeting with Angela Ogilvie at a barbecue in Beverley in the East Riding of Yorkshire in the Summer of 2000. I had only recently moved into the area; and Angela was then Head of Year 9 at St Mary’s College in Hull. We discussed Hull, the major city in the sub-region, being in a near-continuous pattern of occupying bottom of the Government’s GCSE league tables – see also the Blog post: Needed: New Ideas for Hull Education – and Angela showed a strong interest in what the Gravesian approach might have to offer. This led eventually to the staging of my first Introduction to Spiral Dynamics & Related Models of NLP workshop programme (at St Mary’s) in February-March 2001. Promotion for a second programme that Summer caught the attention of Jennifer Crossland, then manager of the Grimsby Europarc Innovation Centre on the South Bank of the Humber. Jennifer was looking for new ideas to stimulate economic regeneration in the area and recognised, in the Gravesian approach and Adizes, powerful concepts on which to base some radical new strategies. By this time, part-time supply teaching in Hull, Grimsby and Scunthorpe, combined with a consultancy and adviser role at the Garths Resource Centre on Hull’s sprawling and troubled Bransholme estate, had had a profound effect on me. I came to realise that the social and economic malaise afflicting Humberside was as great as that in South-East Wakefield, from where I had just come off the HemsMESH project. Only this time the ‘disappeared industry’ was fish rather than coal. As with South-East Wakefield, there were huge amounts of government and European money going into all manner of ‘regeneration projects’ in the more depressed parts of Humberside; but again the returns on the investment were rather poor. Once again, though, the the projects were largely designed from BLUE, ORANGE and GREEN mindsets and thus resonated rather poorly with the values of many of those they were intended for as whose values tended to come from PURPLE and RED. As with HemsMESH, it seemed to me only a MeshWORK approach could really make a substantial and sustainable difference. Inspired by Jennifer Crossland’s enthusiasm for developing a MeshWORK-style approach, I launched Humberside MeshWORK on 30 May 2001. Initially it was a page on the original version of this web site – www.keitherice.co.uk – though a page rapidly became several pages! On 28 July 2002 the sub-site was renamed ‘Humber MeshWORKS’ at the suggestion of former Common Purpose in Hull director David Burnby who convinced me that ‘the tribes of the Humber’ were too disparate for a single conceptual approach to work. At the beginning of September 2002, with Humber MeshWORKS increasingly taking on a life of its own, I switched the site to another server, with its own domain name – www.humbermeshworks.org.uk. 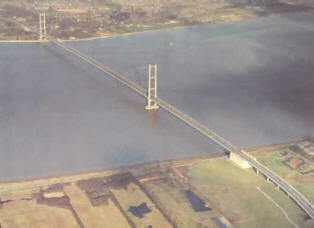 From September 2002 until its closure on 26 July 2004 Humber MeshWORKS logged nearly 8,500 ‘hits’. Not bad for a site concerned with introducing radical psychological and organisational models into a sub-region’s regeneration strategies! Site visitors came from countries as diverse as Sweden, Norway, Denmark, France, Germany, Holland, Belgium, the Czech Republic, Australia, South Africa, Zimbabwe, Zambia, Brazil, Mexico and Canada, in addition to the UK and the USA. The site was linked from several others related to Ken Wilber’s Integral Institutes network and was held up as a foremost example of applications of the Gravesian approach and related Psychology and ‘Change’ models. Spiral Dynamics co-developer Don Beck was especially supportive and, at one stage, put money in to the project to keep it online. “Internet users can visit a website designed to promote and help attempts to develop the region’s economy. The Humber MeshWORKS site has been made in an attempt to try and improve the business and social welfare throughout the Humber sub-region. Those involved with the scheme become part of a spiral, each contributing their own ideas about how to boost the local economy. It is also aimed at improving work between government and private groups. Baxter never actually interviewed me but cobbled together the piece from comments made to him on different occasions by David Burnby and Bernard McGuinn and from stealing lines from the site’s Home Page introduction. Clearly Baxter didn’t really understand what the site was about but it was the first media recognition of its existence. I was, however, interviewed about the site twice on BBC Radio Humberside – by Jonathan Parker in October 2002 and by Alex Hall in April 2003. Viking FM ‘jock’ Simon Green championed the site and even had a link to it on his station web page for a while; and the East Riding Gazette published a letter I wrote about Humber MeshWORKs in its edition of 6 June 2003. Timothy Kirkhope, Conservative MEP, 25/06/01: “Thank you very much for your letter of 14 June telling me of the aims of Humberside MeshWORK. 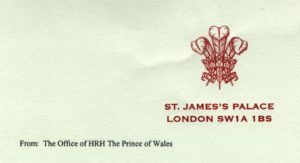 Claudia Holloway, on behalf of Prince Charles, 06/09/02: “The Prince of Wales has asked me to thank you for your letter of 20th August in connection with the relaunch of your web site Humberside MeshWORKS. Your reasons for writing as you did are appreciated, and His Royal Highness is grateful to you for taking the trouble to bring this website, concerned with social and economic regeneration strategies to his attention. 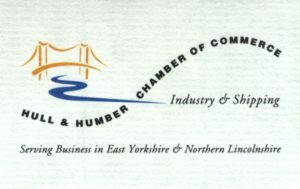 Nick Pontone, Head of Policy, Hull & Humber Chamber of Commerce, 17/09/02: “Thank you for your letter of 20 August 2002 informing me of your relaunched website. I have now had the opportunity to browse the website and was impressed with the content. Articles and case studies are always very useful and were an especially welcome feature on your site. 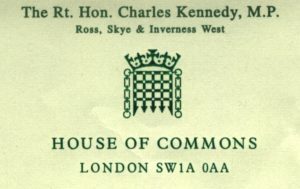 Charles Kennedy, MP/Leader, Liberal Democrats, 29/01/03: “Thank you for your letter of January 21st letting me know about ‘Humber MeshWORKS’ and spiral dynamics. I appreciate you taking the time to write and found your website very interesting. In spite of the support of a number of people associated with the Humberside MESH Network and the dribs and drabs of publicity and recognition, getting to many at ‘the’ top proved incredibly difficult. Tony Blair, then-Education Secretary Charles Clarke and then-Tory leader Iain Duncan Smith acknowledged my letters but didn’t express any form of support. 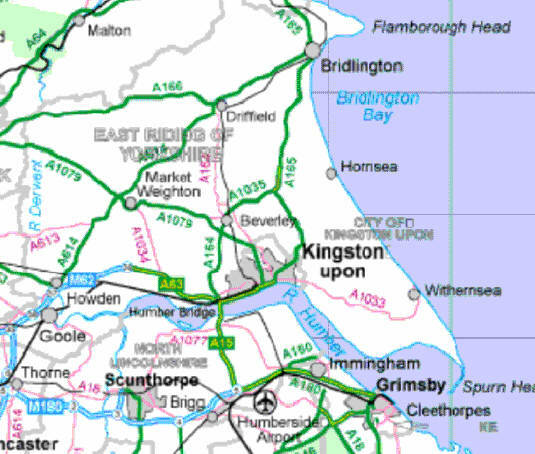 Locally East Riding Joint-Leader Stewart Willie (May 01), North-East Lincs Leader Len Taylor (November 02) and Hull Deputy Leader Janet Toker (February 03) expressed interest in the Gravesian approach and Spiral Dynamics but ‘diary commitments’ precluded involvement. Meetings with Hull’s Assistant Director of Education Andy Swallow (May 01), Council Leader Simone Butterworth (August 02) and Deputy Director of Education Simon Gardener (December 03) and East Riding councillor Jon Neal (November 03) all produced enthusiastic statements…but no real follow-throughs. Amongst the politicians and influencers I approached, there was clearly too much (RED) self-interest and a dearth of 2nd Tier thinking to take on dogma-busting radical ideas that would have meant challenging rigid preconceptions. By Spring 2004 my focus was becoming increasingly concentrated on developing a conceptually wholly-integrated approach to the behavioural sciences. Consequently the site was mutating, with more and more material on theory and non-regional applications appearing. It was clear from comments made by visitors to the site and guest contributors that it was time to move on from the limited sub-regional concerns of Humber MeshWORKS and the site stopped functioning on that basis on 26 July that year. Though a largescale take-up of the concepts promoted via the site was obviously some way off, the project had had some success in that a number of Humber organisations had been touched positively through the application of MeshWORK principles – most notably Hodgson Sealants, The Parks and North Lincs Community Investment Team. Much of the best of Humber MeshWORKS – theory, applications and cases studies – was transferred onto this site and a significant amount of it, particularly the theoretical material, has been updated. However, the Humber MeshWORKS era is clearly reflected in parts of the site – most especially in the Blog where what were once ‘MESH Viewpoints’ to do with topical Humber issues have been archived because the practical applications of the theories and models contain learning that is still valid today.